Welcome to Critic's Notebook, a quick and off-the-cuff car review consisting of impressions, jottings, and marginalia regarding whatever The Drive writers happen to be driving. Today's edition: the 2018 Jeep Grand Cherokee Limited 4x4. Quick Take: Eight years into its current form, the Jeep Grand Cherokee soldiers on as one of the most well-rounded contenders in a hyper-crowded and equally competitive segment. Sure as a pendulum swings, after years of companies spending billions to hide the truck that lurks inside every SUV, there's been a surge of interest in crossovers that can actually go off-road. Kia sent the new Sorento up Hell's Revenge in Moab to show that model's still got it. The new Toyota RAV4 is looking bigger and rougher than ever. And we see you over there, new Honda Passport. But there's another adventurous family rig from the Nineties that didn't skip the soft Aughts, instead emerging as the go-to choice for heading off the beaten path: the Jeep Grand Cherokee. 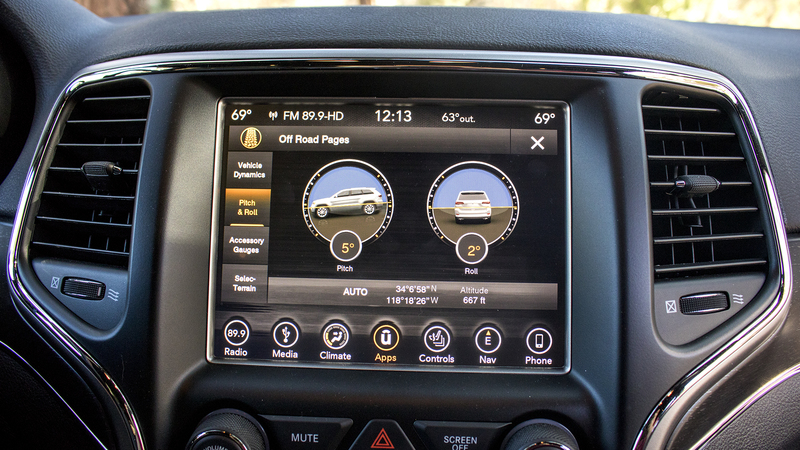 It's hard to find much fault with the Jeep Grand Cherokee at first pass. Jeep's done well to preserve the boxy essence of the original model here in its fourth iteration. (Having a corporate grille before it was cool certainly helps.) The Grand Cherokee's design isn't shouty or busy or trying to be anything other than a straight-laced, medium-large SUV. Even if you're not a fan, you'd be hard pressed to call it anything other than plain. Likewise, the powertrain—the company's 3.6-liter V-6 is standard, with the 360-horsepower V-8 optional on higher trims—simply gets the job done. It's not the most effervescent engine out there, but it's plenty of motor for everyday use and the occasional cathartic burst of acceleration. Towing capability sits at an impressive-for-a-V-6 6,200 pounds. We at The Drive have posited before that rear-wheel-drive can easily save the SUV driving experience. That's also true for the range of four-wheel-drive systems offering real transfer cases on tap for the Grand Cherokee. In the relaunched Trailhawk trim equipped with adjustable air suspension, the GC's off-road capabilities are maxed out to the point that calling it an American Range Rover isn't nearly as silly as you might think. Even the Limited offers true mountain-climbing capability on its conventional coil springs. That this is all tucked underneath a fine cabin with ventilated seats, a panoramic sunroof, a snappy 8.4-inch touchscreen, and competitive safety features like stop-and-go adaptive cruise control drives an indisputable point: There's little out there that can outslug the GC in every single arena. The problems it does have all come down to time; not everything on the aging Grand Cherokee has come back into style. 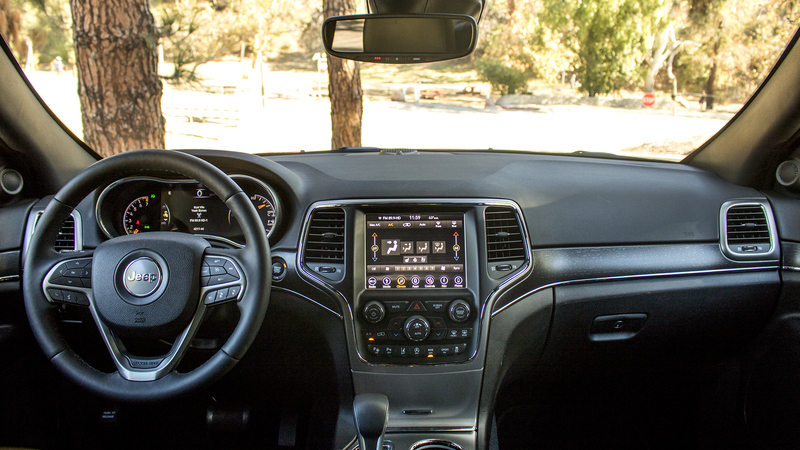 The exterior has definitely matured better than the interior, which doesn't do enough to hide its fields of plastic on its higher level trims—a problem endemic to many FCA products. Its curvy design is also dated, having gone mostly unchanged in a decade that's seen a rise in quality industry-wide on that front. It lacks the customary third row that many modern buyers crave, though sales obviously haven't suffered too much. It also misses its EPA-rated mileage by a wide margin, at least in my hands. It's really not clear how the EPA scored it at 21 miles per gallon combined considering I barely averaged 16 in a week of realistically-mixed driving. The Pentastar V-6 sounds mediocre, even verging on overworked at times. And the coil spring suspension transmits an uncomfortable amount of information about the road beneath when things get really bumpy. Take the Jeep Grand Cherokee for what it is: a meat-and-potatoes truck with a strong design that does everything well, with a kind of humble competence Americans have always loved. To start, Jeep offers a full 10 different trims to pick from. 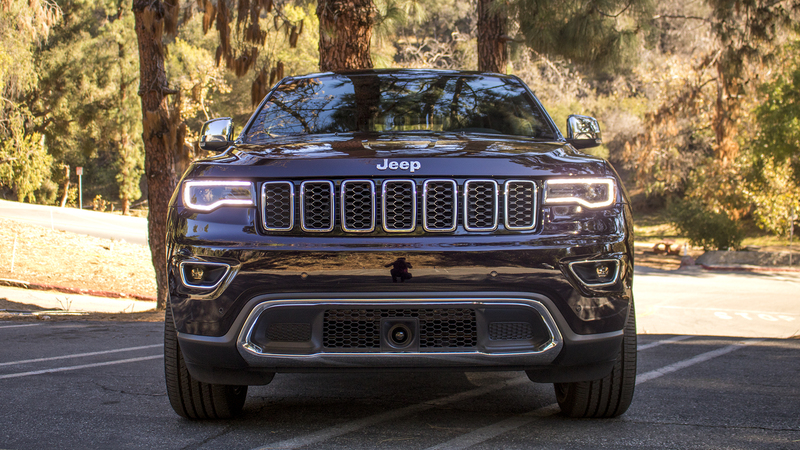 Prices (and attitudes) range from the basic $32,000 Laredo to the to the luxurious $52,000 Summit to the rip-roaring $87,000 Trackhawk, so there's quite literally a Jeep Grand Cherokee for everyone. It's not the newest truck, or the fanciest, or even the most off-road capable, but no other SUV hits all its marks so confidently at most any price point. The Jeep Grand Cherokee shows what can happen when a company keeps an even keel and stays true to its heritage. Everything it represents—ruggedness, adventure, Made in America craftsmanship—is back in line with the market today. The model's record sales year in 2017 was no accident; it was the result of Fiat-Chrysler making a long bet on how people would respond to stability of purpose. 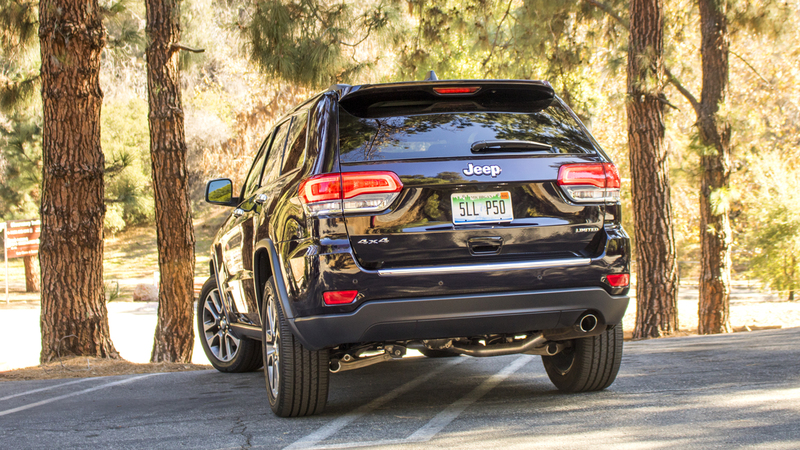 Like the madly-popular Wrangler, the Jeep Grand Cherokee has never tried shied from its primary mission: to get you where you're going, comfortably, regardless of the conditions or terrain. The world has just finally come back around.